Photograph depicts a diagram of a partially complete bridge labelled with components of the bridge. This diagram was likely created as part of the Royal Commission's inquiry into why the bridge collapsed. 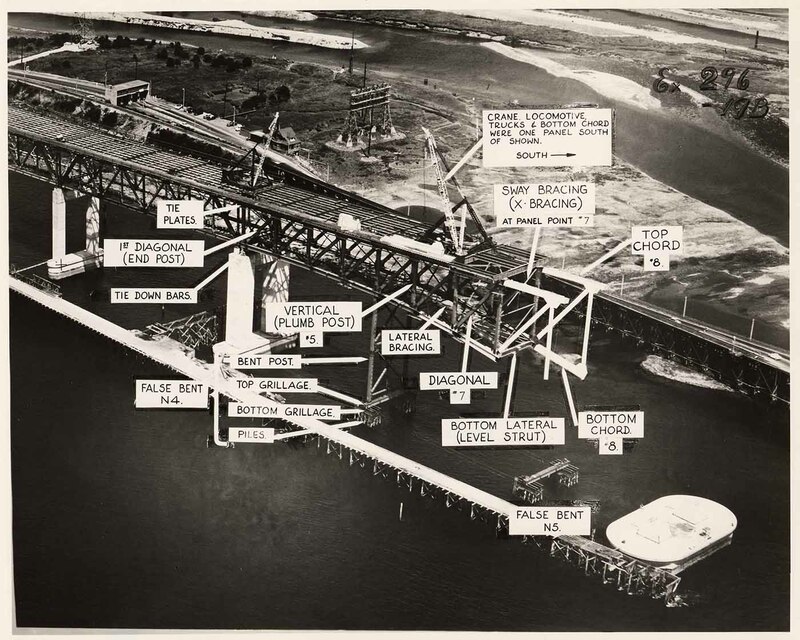 According to Eric Jamieson's book (Tragedy at Second Narrows, The Story of the Ironworkers Memorial Bridge) , it is a, "Mock-up of the bridge prepared for the Royal Commission July 31, 1958."